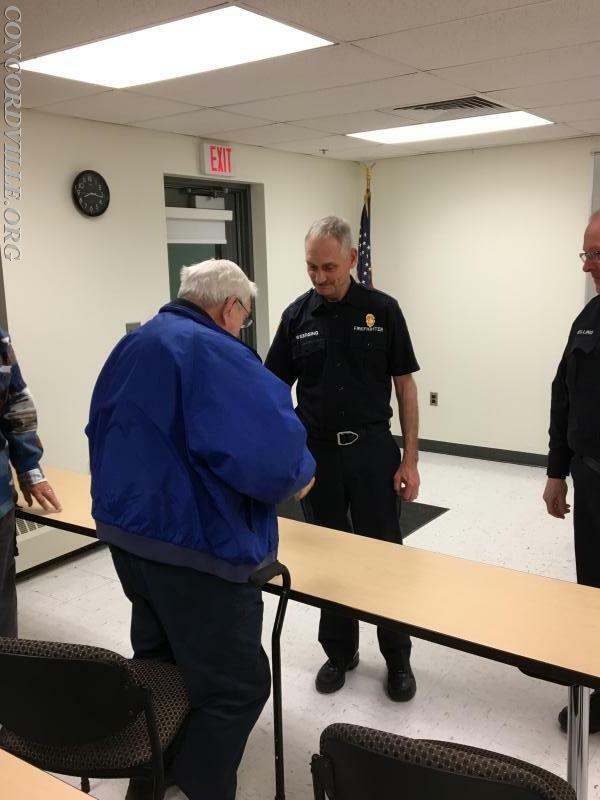 On Thursday evening April 12th, President Lee Weersing presented Bill Cloud with a pin commemorating 70 years of active service to the Concordville Fire & Protective Association. The members of Concordville Fire Company wish to thank Bill for his years of dedicated service to Concordville. President Lee Weersing presenting Bill with his 70 year pin. 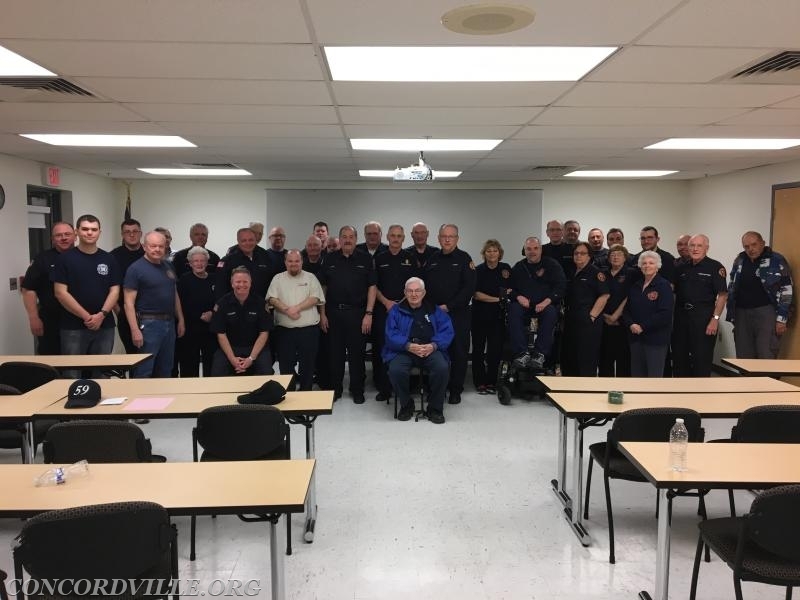 Member of Concordville Fire Company honoring Bill Cloud on his 70th year of active status with Concordville.